Newscommer.com is the PUP that uses misleading techniques to prevent removal. Use Reimage to locate malicious components and get rid of them faster than with uninstall instructions. A full system scan blocks virus reappearance and prevents traffic to malicious domains. Newscommer.com - a PUP which has a feature to modify browsers and fill them with sponsored content. Newscommer.com virus is an ad-supported program which infiltrates the computer system through software bundles. Once inside the system, this PUP launches numerous tasks in the system's background. Additionally, it modifies Google Chrome, Mozilla Firefox, Internet Explorer, Microsoft Edge, Safari, Opera, and other web browsers to get an ability to fill them with sponsored content. As a result, the victim is interrupted by numerous Newscommer.com ads that can not only slow down the affected web browser but can also redirect the user to the malicious website. In most of the cases, such technique is used to promote fake software, infected updates, non-existent surveys, and similar content. 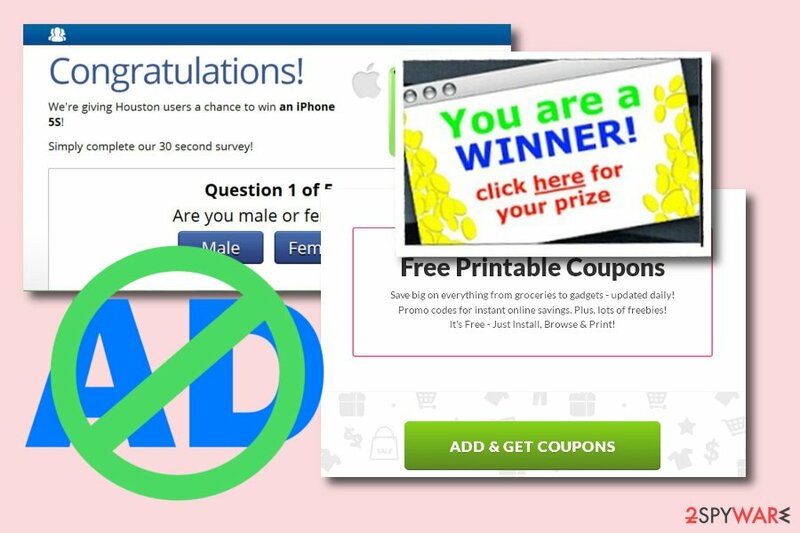 To gain revenue from various pop-ups, pop-unders, coupons, banners, etc. Numerous adverts start covering your favorite sites each time you try to perform a particular action. No matter how harmless ads caused by this adware seem, you need to remember that this adware-type application can cause redirects to sites which are filled with harmful content or even malware. To avoid such possible damage, you need to install antivirus protection. We recommend choosing Reimage anti-malware to remove Newscommer.com virus without a need to deal with unwanted consequences. As mentioned earlier, developers of such programs are seeking to gain revenue from numerous advertisements that they display. Not only that they are annoying and used to achieve the pay-per-click income, these adverts also might cause regular browser slowdowns and even crash downs. To return to the previous browsing routine, better take care of Newscommer.com removal. After you get rid of the PUP, a piece of advice would be to refresh browsers that were affected by the adware-type program to make sure that all unnecessary components are eliminated for good. Newscommer.com - an adware which benefits from numerous intrusive pop-ups and pop-unders by collecting pay-per-click revenue. 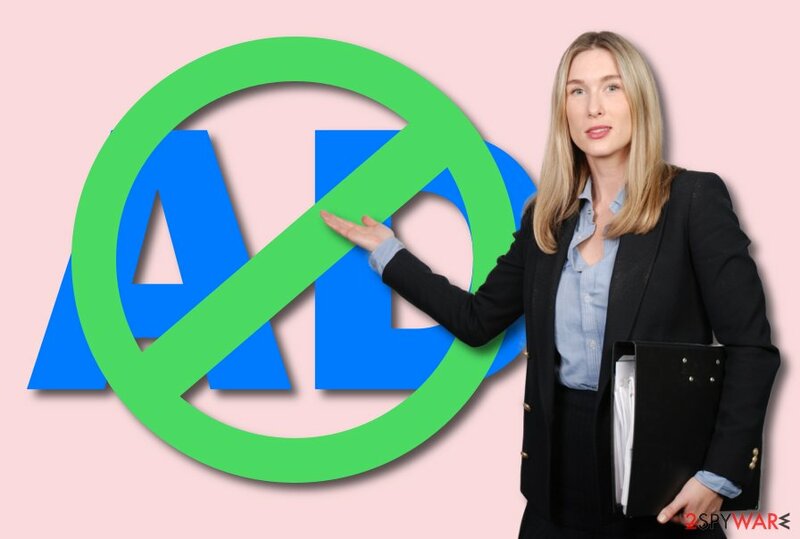 According to IT experts, PUPs such as ad-supported programs often come bundled with other applications. You can get the PUP installed secretly by downloading a simple download manager, PDF creator and similar program from the web. Furthermore, third-party installers can also be used to spread adware, so better use only official sources while trying to download software from the web. Additionally, make sure you select the Custom/Advanced installation option and opt-out of all unnecessary downloads you did not request for. Moreover, P2P networks can also be used for the distribution of adware or other PUPs. Such sites are Torrents, eMule, and similar ones do not fit the security requirements, and, as a result, inject an adware into the system without user's notice. Some advice would be to avoid suspicious-looking sites to stay safe from PUPs. If you ever encounter a strange-looking webpage – be quick to leave it permanently and never return. Additionally, make sure your system is protected by reliable antivirus which will keep your computer virus-free. To remove Newscommer.com virus, you will need to choose from two options offered by 2-spyware experts. The first one is manual removal which requires going thru all system's settings manually and eliminating all unknown browser extensions and plug-ins from each web browsers, such as Google Chrome, Mozilla Firefox, Safari, IE, Edge, etc. Instructions for this methods are given below the text. If you want to proceed with the full Newscommer.com removal and be sure that are malicious components are gone, you can choose to do it automatically with the help of an anti-malware tool. This method will take only a couple of minutes of your time, all you need to do is install anti-malware. After the elimination is done, reset browsers that were affected by the cyber threat. Here, look for Newscommer.com or any other recently installed suspicious programs. Wait until you see Applications folder and look for Newscommer.com or any other suspicious programs on it. Now right click on every of such entries and select Move to Trash. When in the new window, check Delete personal settings and select Reset again to complete Newscommer.com removal. Once these steps are finished, Newscommer.com should be removed from your Microsoft Edge browser. Here, select Newscommer.com and other questionable plugins. Click Remove to delete these entries. Now you will see Reset Firefox to its default state message with Reset Firefox button. Click this button for several times and complete Newscommer.com removal. Here, select Newscommer.com and other malicious plugins and select trash icon to delete these entries. Click Reset to confirm this action and complete Newscommer.com removal. Here, select Extensions and look for Newscommer.com or other suspicious entries. Click on the Uninstall button to get rid each of them. Now you will see a detailed dialog window filled with reset options. All of those options are usually checked, but you can specify which of them you want to reset. Click the Reset button to complete Newscommer.com removal process. ^ Adware. Techopedia. IT encyclopedia. ^ UtanVirus. UtanVirus. Malware experts. This entry was posted on 2018-08-10 at 03:48 and is filed under Adware, Viruses. You can quickly scan the QR code with your mobile device and have Newscommer.com manual removal instructions right in your pocket. How did you remove Newscommer.com?